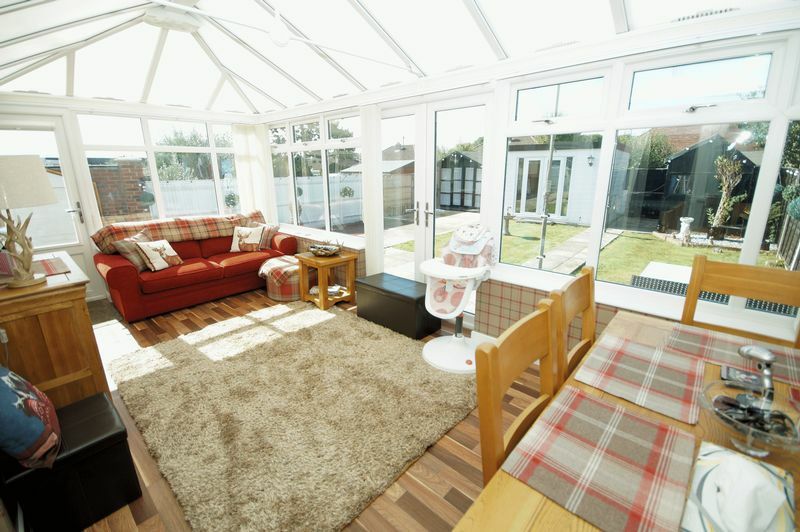 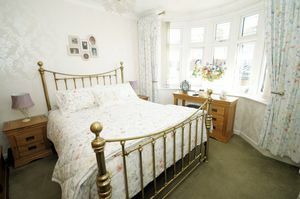 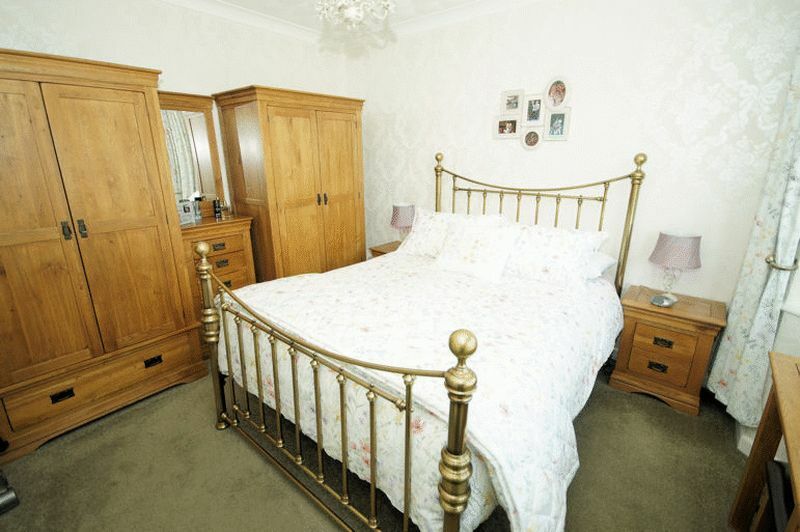 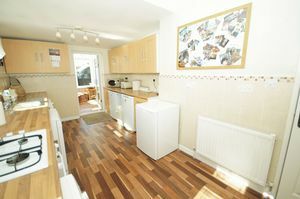 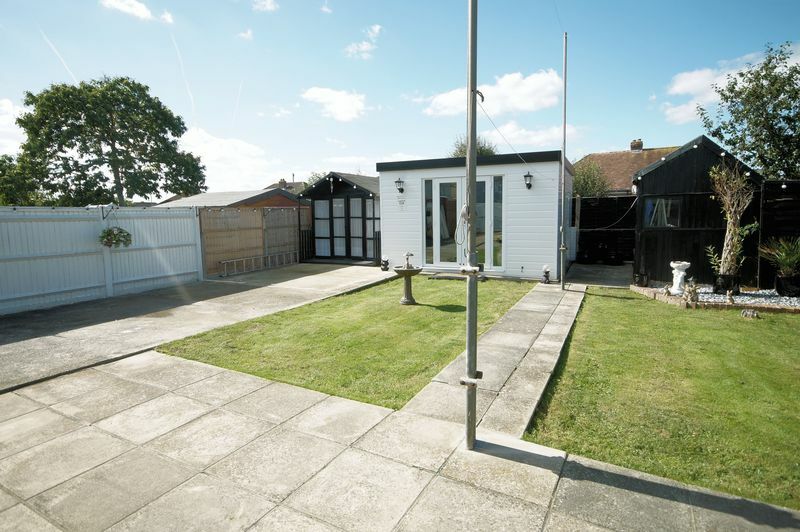 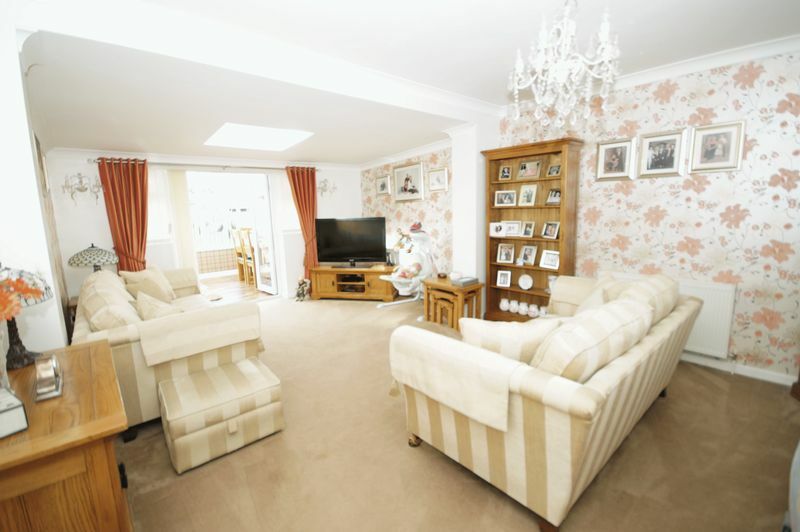 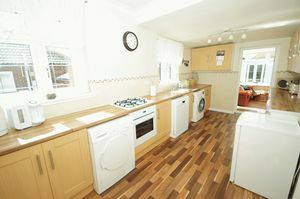 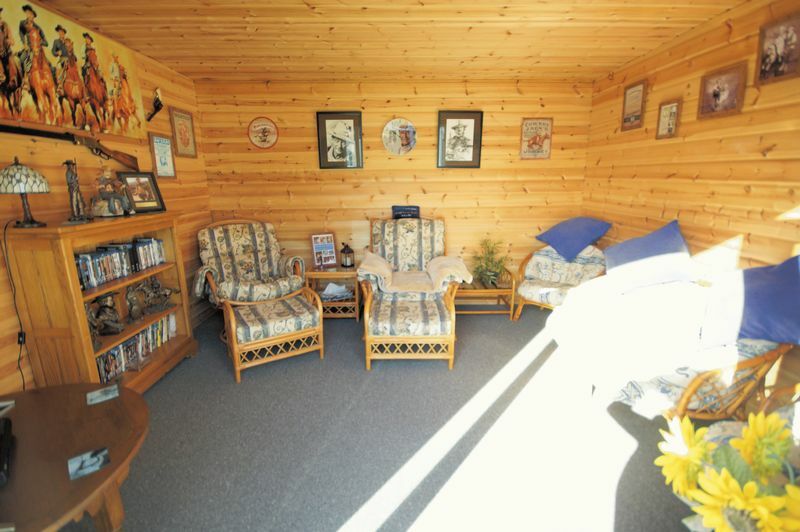 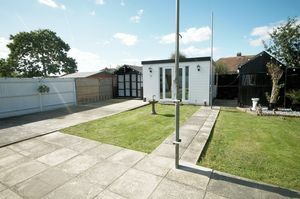 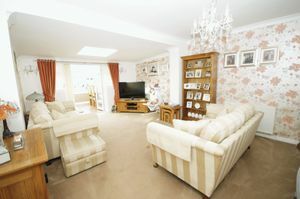 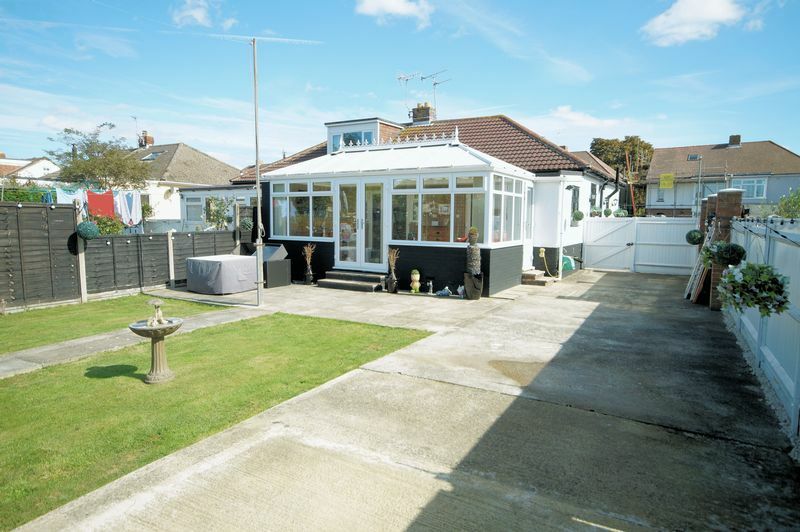 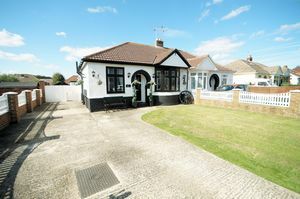 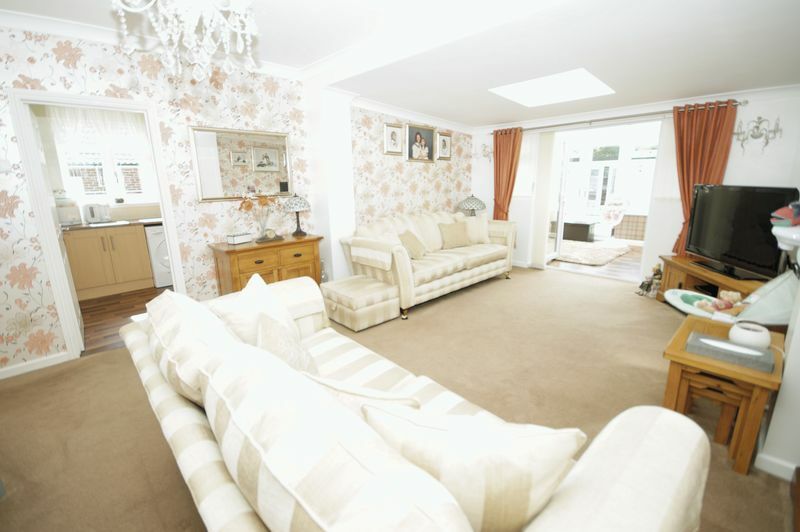 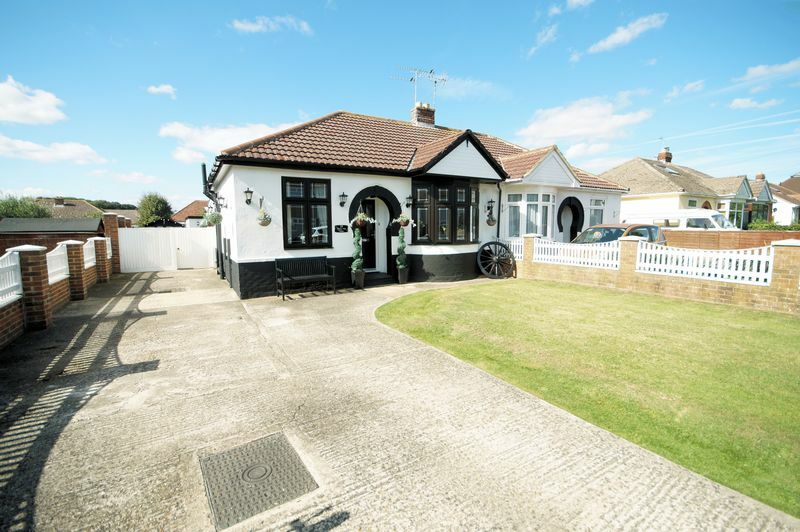 Beautifully presented EXTENDED bungalow in south Portchester on level ground close to local amenities and transport links offering: TWO BEDROOMS, 16'10" fitted kitchen, 19' UPVC CONSERVATORY, modern bathroom, ample off street parking and enclosed west facing garden with 10' x 12 garden room. 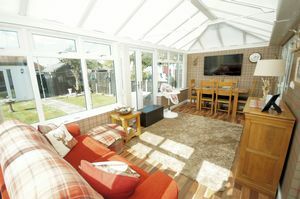 Double glazed windows to side elevation and double glazed door leading to the conservatory, range of base and eye-level units, roll top work surfaces, single bowl stainless steel sink unit with mixer tap, integrated oven and gas hob, space and plumbing for washing machine and dishwasher, space for fridge/freezer, coving to flat ceiling and part tiled walls. 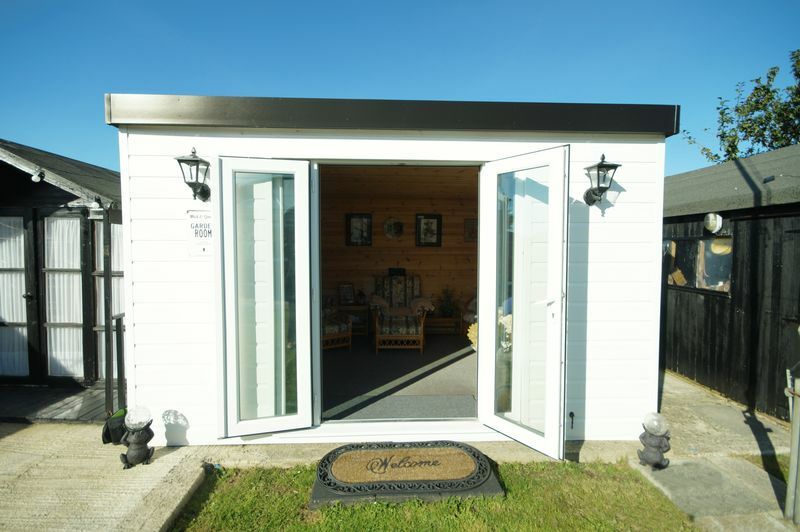 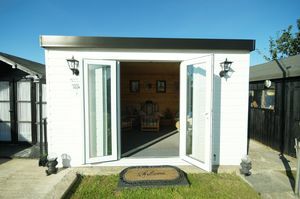 UPVC double glazed windows and double glazed patio doors overlooking and accessing the rear garden, pitched polycarbonate roof, under floor heating, wall lighting and power sockets. Double glazed bay window to front elevation, coving to textured ceiling and radiator. 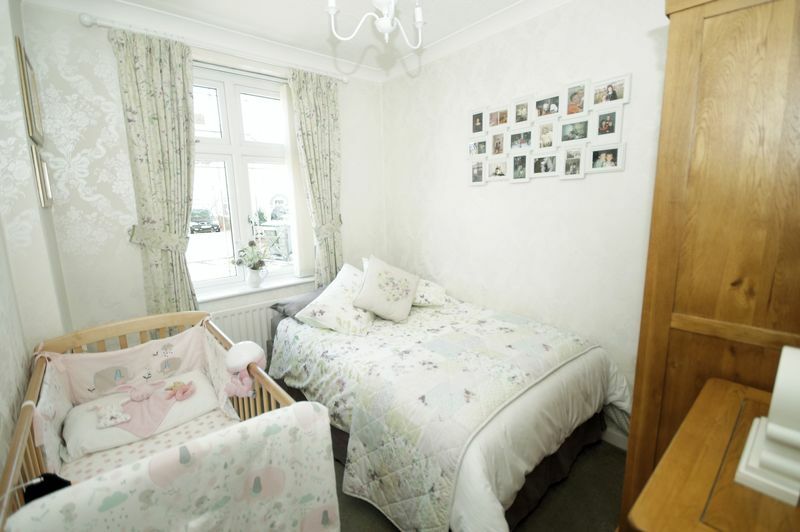 Double glazed window to front elevation, coving to textured ceiling and radiator. 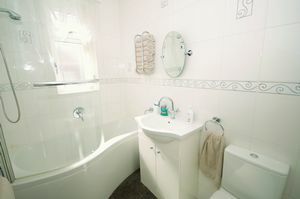 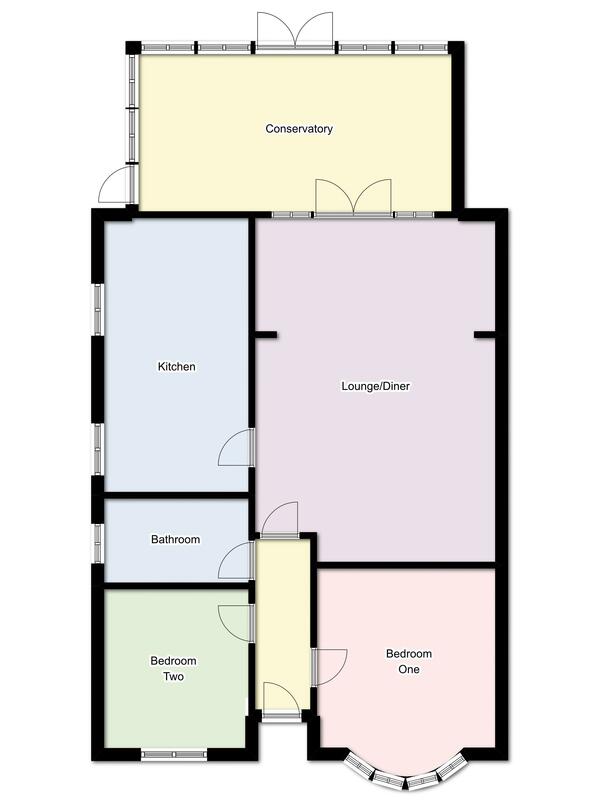 Opaque double glazed window to side elevation, white suite comprising: close coupled WC, wash hand basin inset vanity unit, P-shaped panelled bath with shower over, shower screen, chrome heated towel rail,flat ceiling with extractor fan inset and tiled walls.